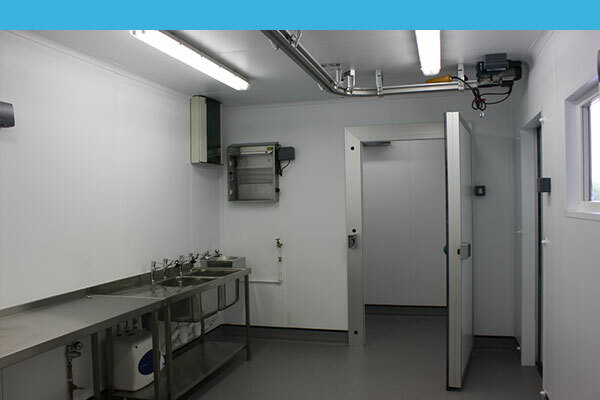 We can provide you with a complete turn-key solution to enable increased food production space and we manage all aspects of a project from initial consultation to design, planning applications, manufacture and delivery. 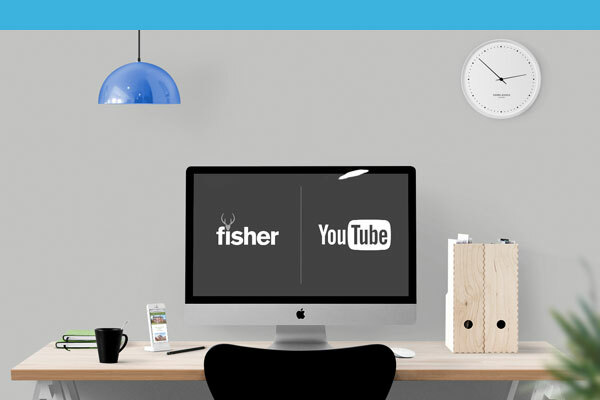 Take a look at our some of our projects below, or contact us today. A. Wright & Sons wholesale butchers and abattoir based in Boston, Lincolnshire approached us to provide a new factory extension. There were both physical and financial constraints on building the extension in a traditional method, therefore we provided a unique modular solution to overcome those issues. We covered all aspects of the project including the planning application, building control compliance, foundation construction, manufacture and delivery. From the moment planning permission was granted, the whole project took 8 weeks and only two of those were spent on site, meaning there was minimum disruption to the existing business. The new building was constructed off site in a period of 6 weeks from date of order and provided over 90/sq/mtrs of new production space made up of 4 x different sized units at a cost 40% cheaper than a traditional method of construction. Malpass Direct Ltd are a thriving family business based in Brighton. They have recently taken on the lease at a new premises that has become home to their processing and distribution facility. 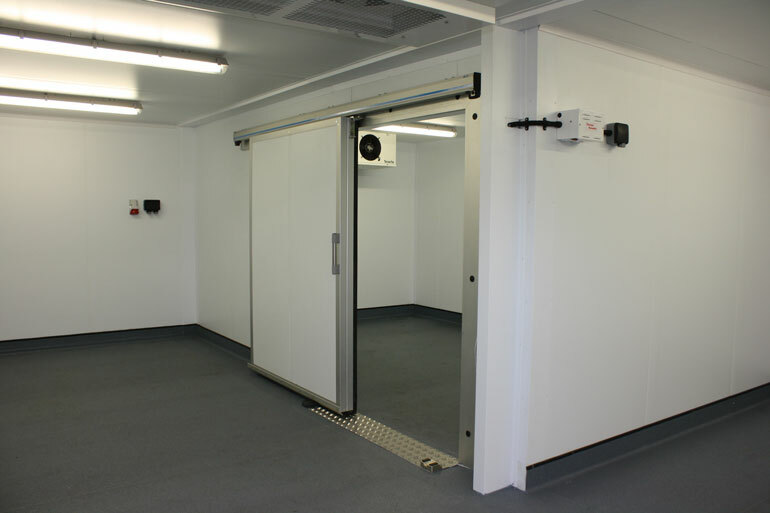 A quick and easy solution to provide the space for meat boning and packaging was to install 2 x 10.0mtr x 3.4mtr modular units. 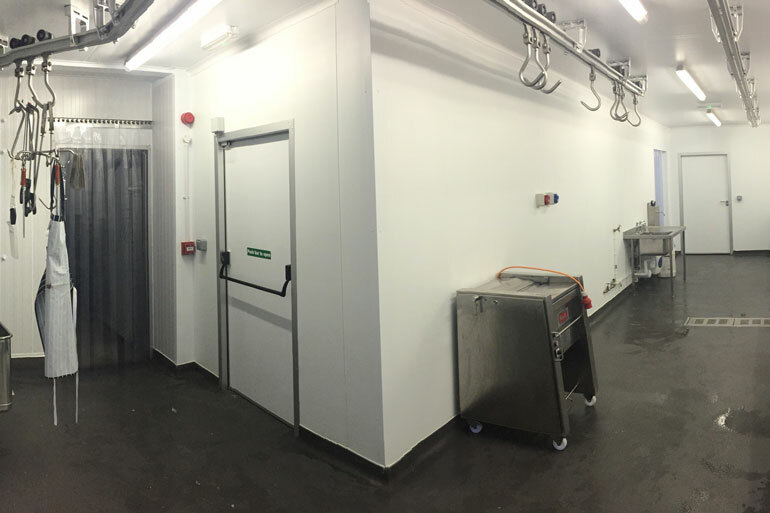 This has provided Malpass Markets with an increase of 55sq/mtr of processing space with a 15sq/mtr coldstore incorporated in to the unit for storage. 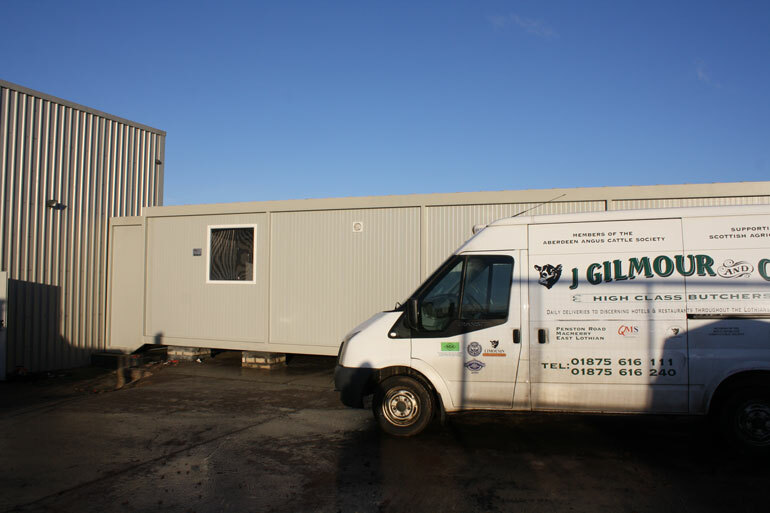 The units were manufactured at our factory in East Yorkshire and, after a 5 week turn around, only 5 hours of work were needed on site and the new processing facility was ready for use. J. Gilmour & Co Ltd are an established family run wholesale butchers based just outside Edinburgh. 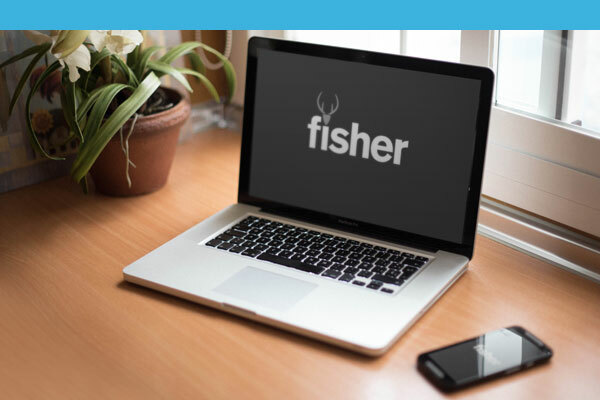 As with many businesses of this type the current production areas have reached maximum capacity so a quick and easy solution for extra space is required. We have installed 2 x 12.0mtr x 3.4mtr units with a linkway unit including a stepped access to accommodate a difference in levels. This will provide an extra 64sq/mtr of meat processing and packing space as well as 6mtr x 3mtr finished goods chiller.